The Playhouse offers the public an intimate view of the making of art, as large windows offer an unobstructed view of performance venues typically shielded from observation. A hangar door connects one theatre inside the Playhouse to the outdoor courtyard, providing students the opportunity to perform for the Downtown public at large. The Playhouse is home to The REP - the professional theatre company - and three student companies: Conservatory Theatre Company, Conservatory Dance Company and Playhouse Jr. The Pittsburgh Playhouse maintains a rigorous performance calendar, entertaining more than 30,000 patrons annually. 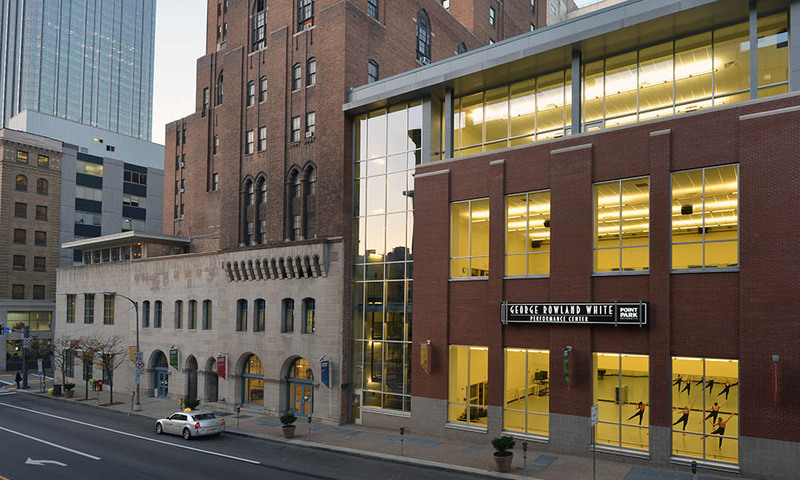 In addition to the George Rowland White Performance Center and Pittsburgh Playhouse, dance students have the opportunity each year to perform at the Byham Theatre, located in the heart of Pittsburgh's Cultural District.